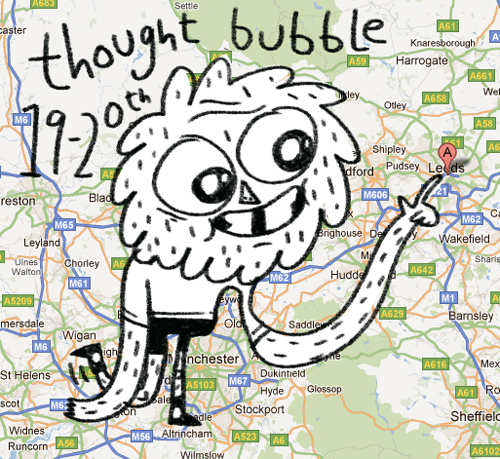 Thought Bubble hits us straight in the face this Saturday/Sunday, I'm grabbing the nearest horse and riding down to the fine city of Leeds and I suggest you do the same. 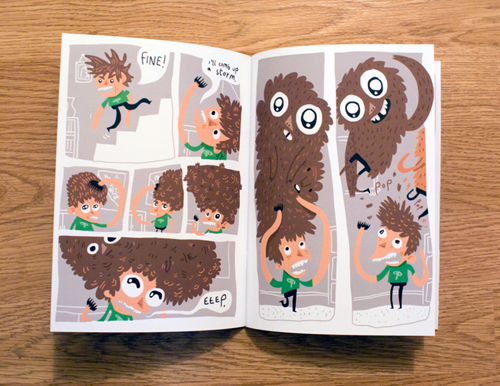 On the the Saturday I'm part of a panel discussion called Paper/Science alongside, Philippa Rice, Tom Humberstone, Morten Thomsen and Kristyna Baczynski, discussion on the process of printing comics or displaying them online, it's at 12:10 – 13:00, Alea Cinema Room. Hosted by Mr Matt Sheret. As well as my usual comics and stickers and stuff It's going to be the first UK show that I'll be taking Skimpy Jim too. 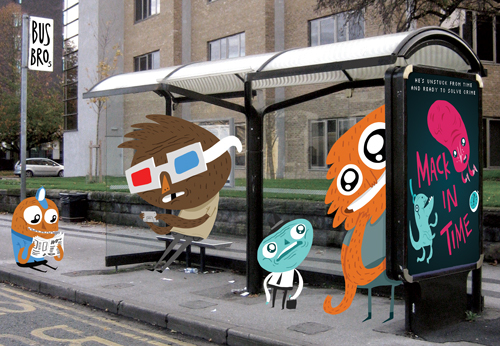 BUT WAIT THERE'S MORE, I've just finished a handy A5 print called Bus Bros and I've been assured by the printers that they will be back with me in time. If you can't make it, don't worry, I'll probably have a few prints left over which i'll pop on my shop, where you can also find Skimpy Jim and a couple of other swanky items.